Drive without worries, whenever and wherever you want! 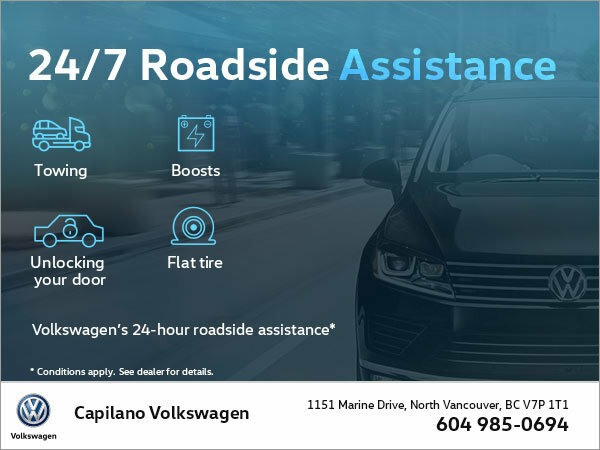 Our Volkswagen Roadside Assistance service is offered at no charge with the Volkswagen Assurance and Volkswagen Assurance Premium programs, 24/7! The Volkswagen Roadside Assistance service offers many advantages: towing, boosts, flat tire changes, unlocking your doors, gas delivery, emergency winching service, and trip interruption benefits! Don't wait to get the services you need!